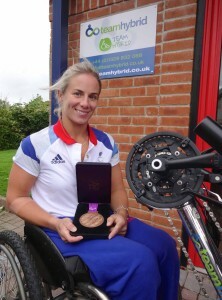 We are delighted to welcome Paralympic Wheelchair Tennis player Lucy Shuker as an ambassador for Team Hybrid. Lucy made history at the London 2012 Paralympic Games alongside Jordanne Whiley winning Great Britain’s first ever Women’s Wheelchair Tennis medal. 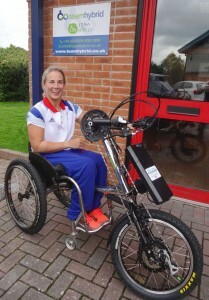 Lucy will help to raise the profile of Team Hybrid hand cycles by actively promoting the benefits of our handcycle range in helping keep fit and having fun. An active user of a Cougar Power Assist, Lucy enjoys hand cycling as part of her wheelchair tennis fitness program and also as part of leading an active lifestyle enabling her to take part in bike rides with friends. 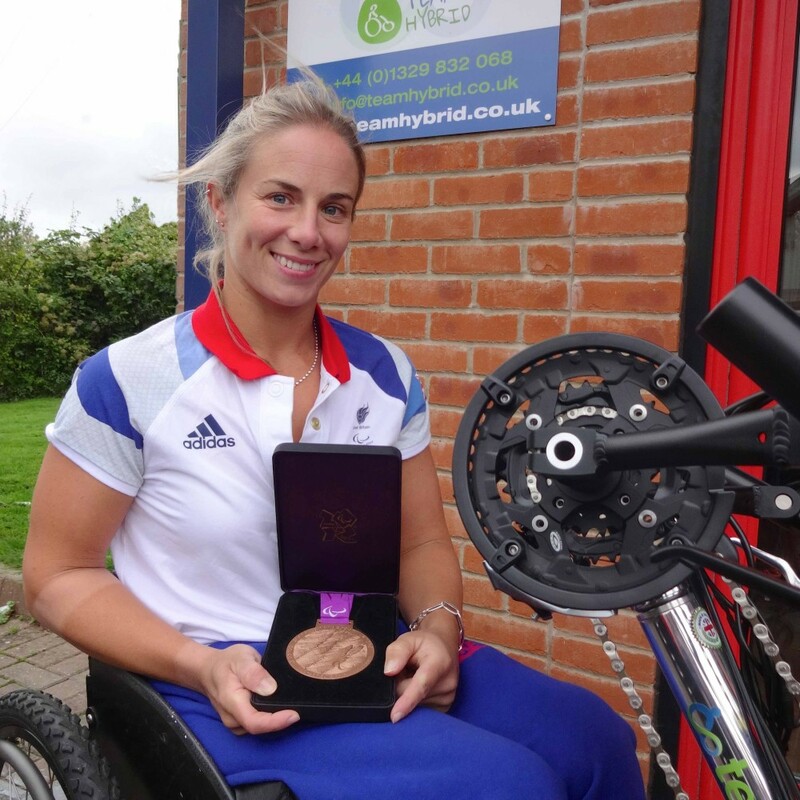 Currently ranked World No.7 in Singles and No.5 in Doubles, Lucy started playing Wheelchair Tennis in 2002 following a motorbike accident, which left her paralysed from the chest down. She has gone on to represent Great Britain, at both the Beijing 2008 and London 2012 Paralympics and was the first Brit to contest the wheelchair tennis events at all four Grand Slams, when she played in New York in 2013. Lucy now has her sights firmly set on a Gold Medal at the 2016 Rio Paralympics. We very excited to be working with her and following her progress.